From the Malaysian island Langkawi I continued my trip to Thailand. 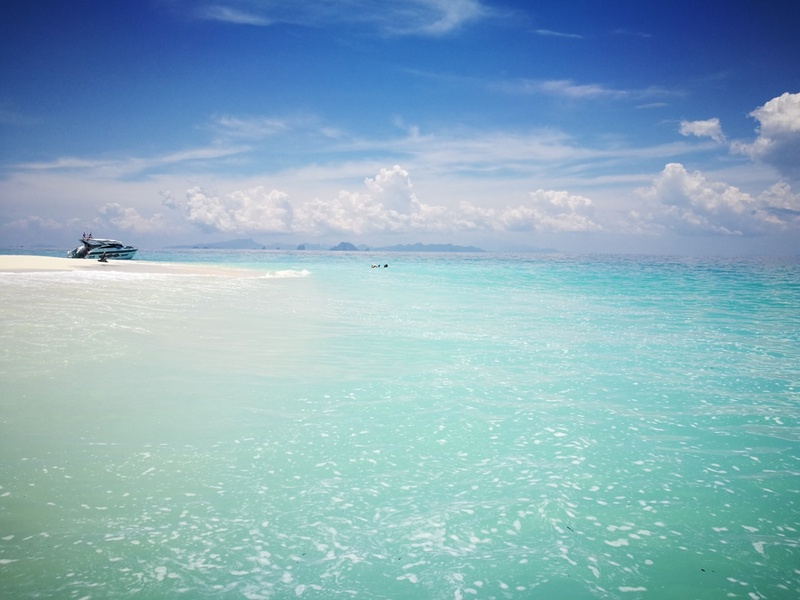 From Langkawi it’s easy to book a combination ticket all the way to Krabi. Just look for a travel agency in the village and you’re on your way! In this ticket a pick up from your hostel to the ferry is included so it doesn’t get any easier. After the ferry they bring you to the bus station where they give you a bus ticket which brings you all the way to Krabi. There you can either way go by bus to Ao Nang (the place at the beach) or as I did: go by taxi (I chose this because it was a long trip and I was tired). I stayed in Slumber Party Hostel which was actually really fun (besides the quality of the beds – you feel like sleeping in a coffin – ouch). They have two locations and I stayed at the one closest to the beach. 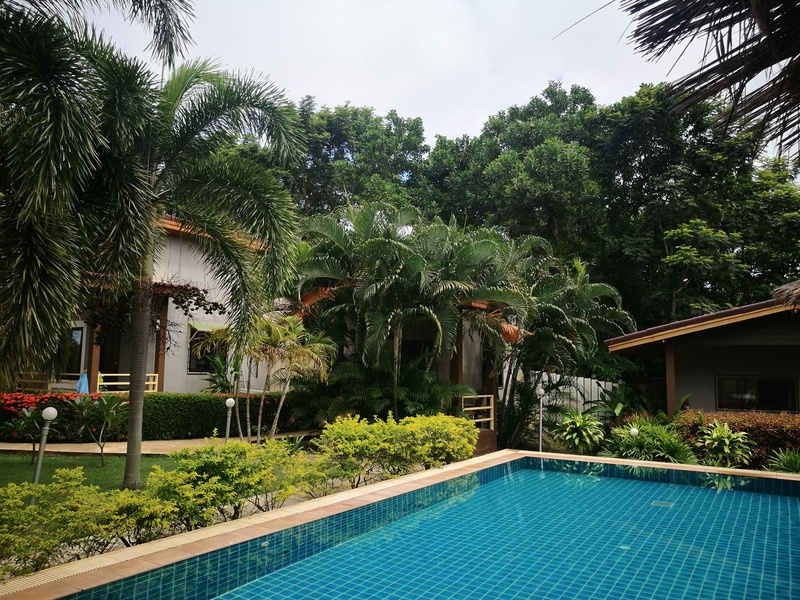 The other one has the bar where you can have a drink and play some games every night, so the one I stayed in was actually nice and quiet to recover (you need a lot of recovering when you’re around the islands of Thailand since you probably drink a lot). 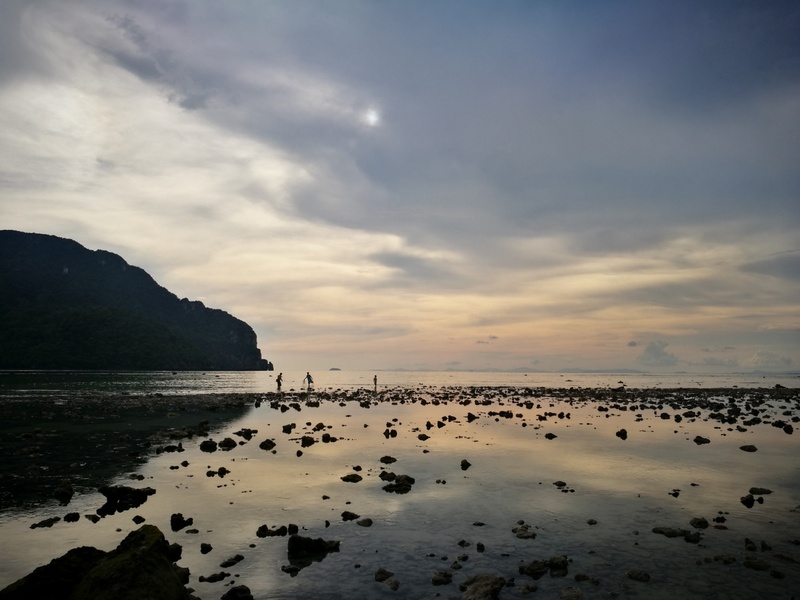 Most of my time in Ao Nang I spent partying – the hostel does new activities every day, from beer pong to free barbecue nights, which made the nights a lot of fun. During the day it was nice just to spend some time at the beach. It’s a very touristy place so there are plenty of shops, restaurants and spas – don’t miss out on a good massage when you’re in Thailand – you can go to too. I absolutely fell in love with the grilled cheese sandwiches at the 7-Eleven (the supermarket you’ll find everywhere in Thailand) here. I had many (MANY) of them after my first bite during my time in Thailand. And big plus: they are crazy cheap so perfect when you’re on a backpacking budget. A day I really loved and definitely would recommend is the Island Tour organised by the Hostel. Someone from the hostel takes you in a long-tail boat to all the beautiful places. 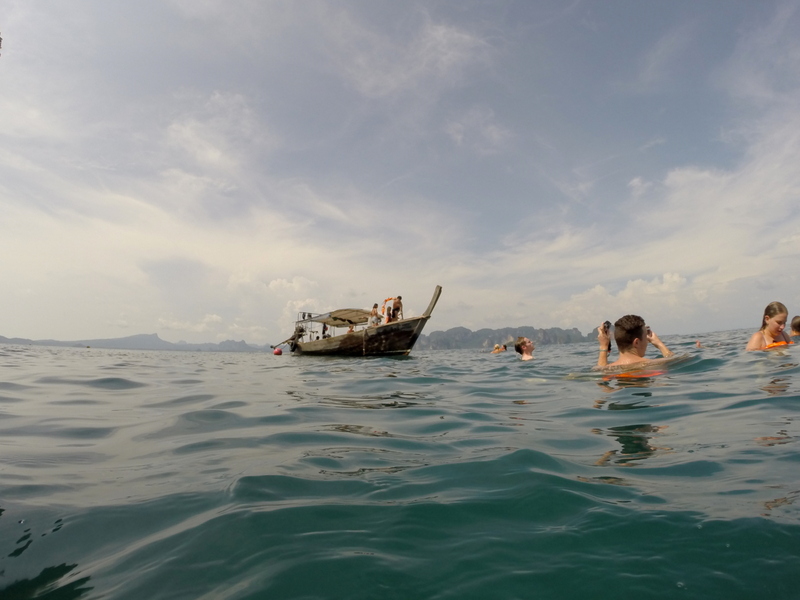 From pretty swim and snorkeling spots to beautiful beaches, including Railay beach – a beach you can only go to by boat – where we watched an amazing sunset. 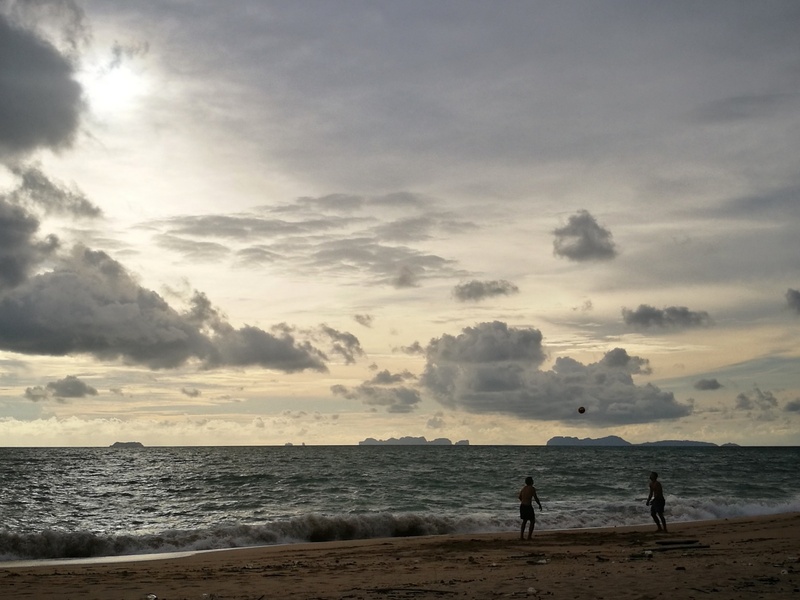 I actually came back to Ao Nang, Krabi, at the end of my trip because I was craving some last minute beach time before jumping back into the Dutch winter scenery. During my second time here I rented a scooter with a friend of mine I met in Malaysia a couple of weeks before and we drove to the Tiger Cave Temple where we had to take a lot of steps (1237 & 278 meters elevation!) 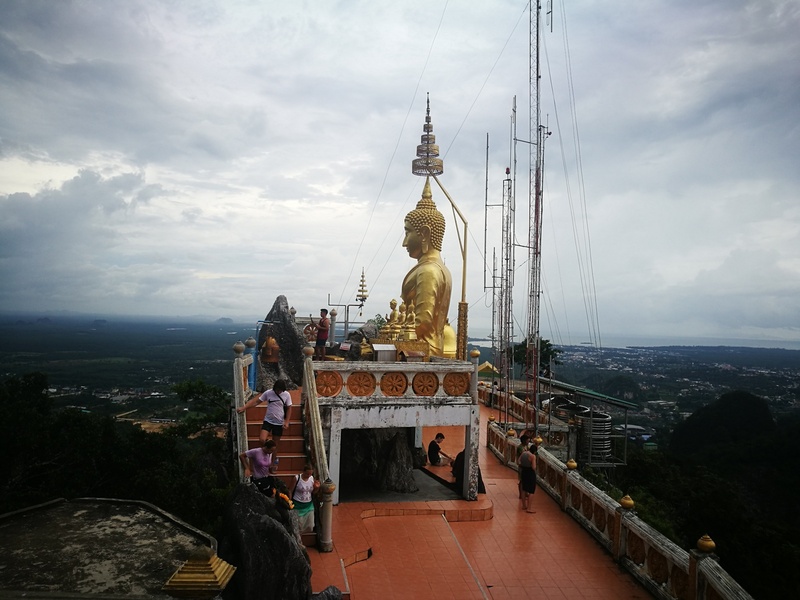 all the way to the top of the mountain where we were rewarded with an amazing Buddha statue accompanied by a breathtaking panoramic view. It’s a challenging climb, but it’s definitely worth it! Just sit down and let all the views in while enjoying the quietness around you. After Ao Nang it was time to continue my journey to my first island in Thailand: Koh Phi Phi. 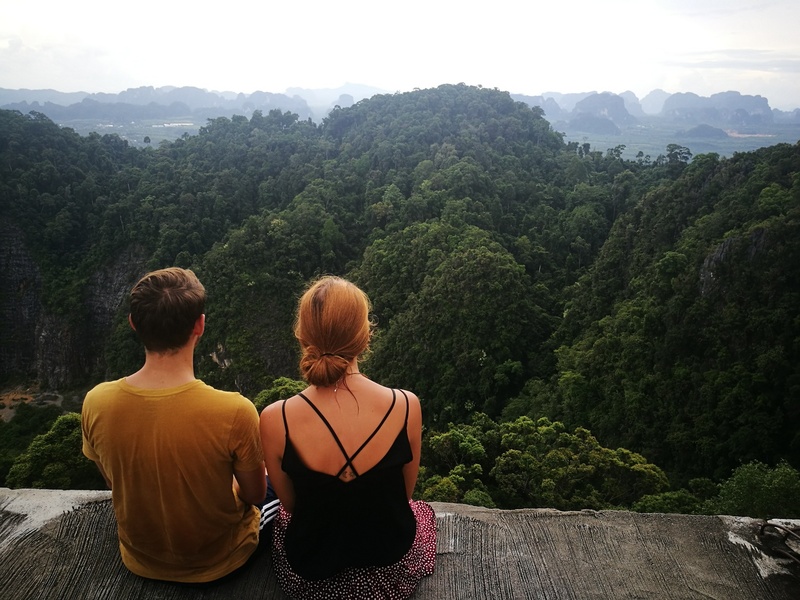 You can easily book a combined ticket in Ao Nang which includes a pick up from your hostel which brings you to the ferry and the ferry ticket itself. The ferry takes about 1,5 hour to get to Koh Phi Phi. From the harbour you walk straight into the cute little village of Koh Phi Phi with plenty of scuba schools, nice little shops and some good restaurants. Don’t expect a romantic picture of a tropical island filled with old fisherman and scenic views. Tourism took over a couple of years ago which changed the island to a party island with dirty beaches and lots of touristy spots. I stayed at Blanco Beach Bar which was a party hostel pursan: the bar of the hostel – which is directly on the beach – was the place to be at night with music all night, fire shows and dancing on the beach. Next to this hostel there is a place where you can go to a black night party every night while dancing on the beach: it truly is a party paradise. When you’re looking for a more nice and quiet time you can go to the other side of the island and book a little private bungalow. Luckily Koh Phi Phi is not only regretting how much you drank the night before. There is a cool hike to the top of the hill where you have an amazing panoramic (sunset) view. And a definitely must is to go on a boat tour for the whole day. There are many stands offering you all kinds of boat trips, from just a very basic one to an all inclusive all-you-can-drink one. Just walk around a bit and find out which one is best for you. We found one which was quite cheap and had not all kinds of crazy extras. Only disadvantage was that the entrance to Maya Bay was excluded (which is around 400 baht/10 euros), keep that in mind when booking something. The day was still amazing, just the breeze of the wind while sailing away in the warm sunny weather is an ultimate holiday feeling for me. 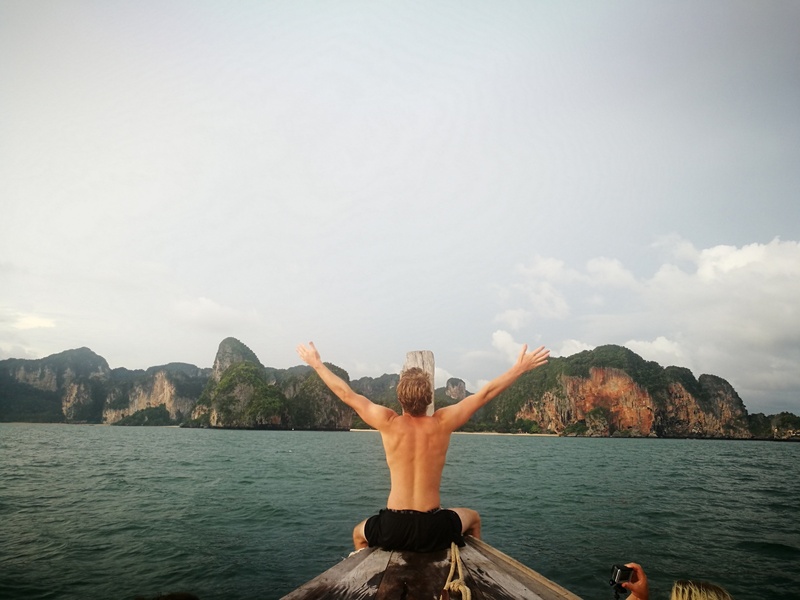 The captain took us to all kinds of places and beautiful beaches, including Bamboo Island (bluest ocean I have ever seen), Monkey Beach (with real cheeky monkeys) and Maya Bay (the famous beach of the movie “The Beach” with Leonardo Dicaprio). 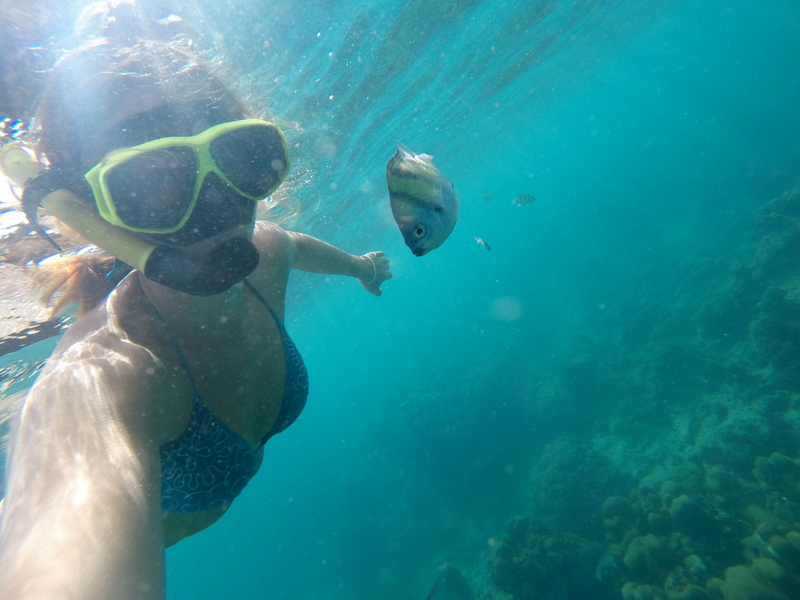 There were two cool spots where we were able to snorkel for a bit too. This relaxing day ended enjoying the sunset on the boat. I heard there are some trips which include swimming at night with the bio-luminescent plankton as well: sounds like something for my bucket list for next time! After partying for a whole week in Ao Nang & Koh Phi Phi it was time to do some recovery and relaxing. We continued our trip to the island Koh Lanta. We stayed at Escape Cabins where we had a little private bungalow with the best bed I had in weeks and just next to the swimming pool (we spent a lot of time here just chilling and reading our books). There is not much to do on this island and it’s not touristy at all (which I loved) so it’s recommended to rent a scooter for the time you here which makes it easy to explore the island. Koh Lanta has some amazing beaches to enjoy. In the southern part of the island we did a hike which took us around forty minutes and brought is through the jungle to a little waterfall. While driving through the entrance of the park where we did this hike I saw a lot of elephants with carriages which made me really sad because it means there are still a lot of tourists riding those majestic animals. There are amazing elephant sanctuaries, especially around Chiang Mai, where they save the elephants from things like this and I really recommend to visit one of these places. You see the elephants walking in freedom, enjoying there time and you can help feeding and bathing the elephants (I’ll tell you more about it soon in my article about Chiang Mai). 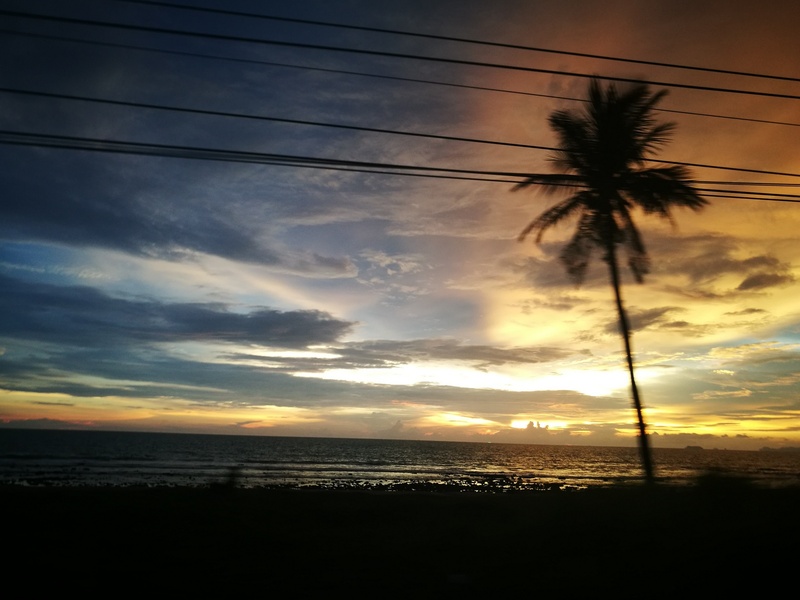 During my time at Koh Lanta I had the best Tom Ka I had in my whole time Thailand.We loved it so much we came back the day after to have it again. It’s in the amazing restaurant called “the Kitchen“. They have a lovely terrace outside where you can really enjoy the warm nights of Thailand whilst zipping on a home made iced tea.